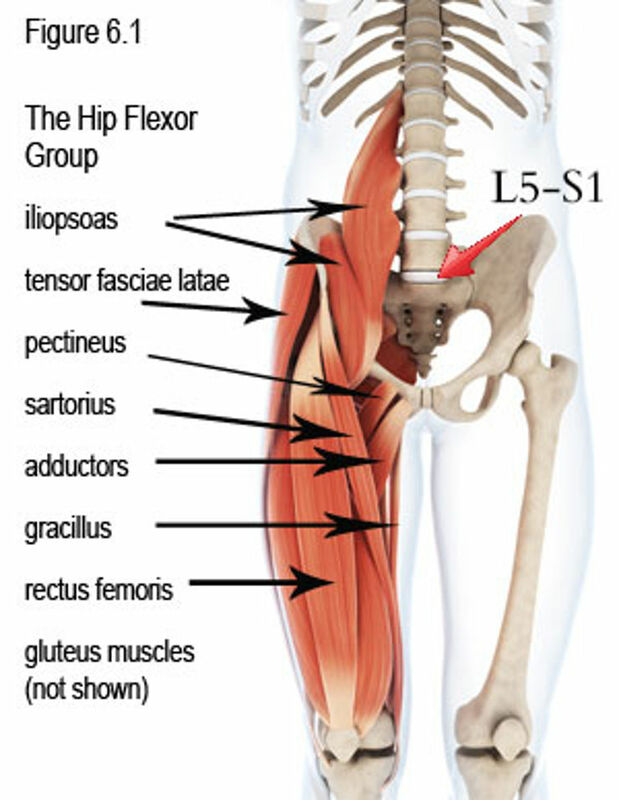 The hip flexors muscles are a group of muscles throughout the top of the thighs that attach your upper leg to the hip. 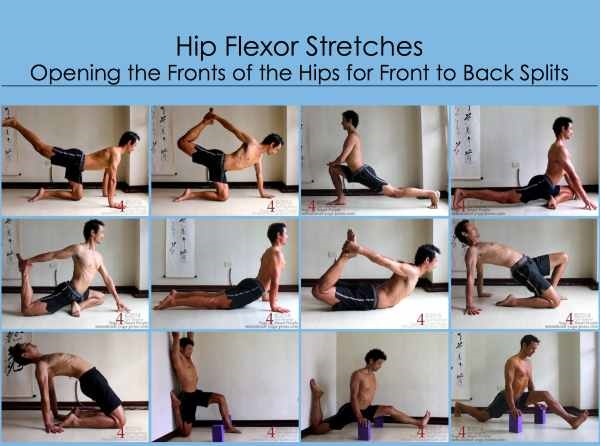 Raising your knee toward the body takes the effort of many muscles that are collectively identified as hip flexors. The psoas major muscle is a long fusiform muscle positioned on the side of the lumbar area of the vertebral column and the brim of the lesser pelvis. It combines the iliacus muscle to create the iliopsoas muscle. Origin: The psoas major muscle has superficial and deep parts. Superficial part takes origin from the sides of the T12 and L1 to L4 vertebrae. 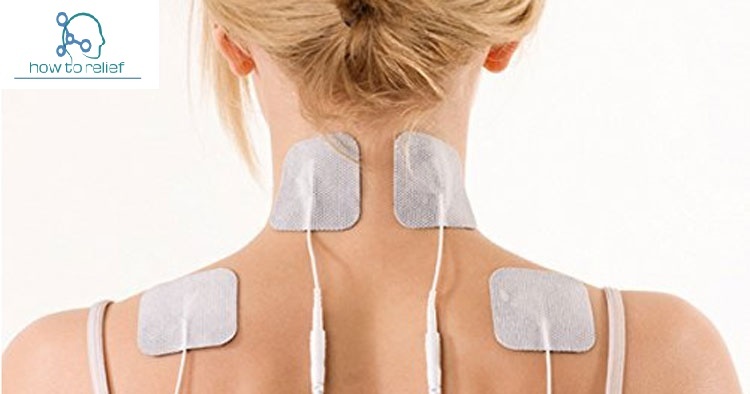 The deep part takes origin from the transverse processes of lumbar vertebrae L1 to L5. Insertion: The fibers of the muscle, which is joined within the pelvic region by multitudinous fibers from the iliacus muscle, finally inserting within the lesser trochanter of the femur. Nerve Supply: Lumbar spinal nerves (Ventral rami of L1, L2, and L3). Action: Flexion of the hip joint, smallest action in lateral rotation and abduction of the hip joint. 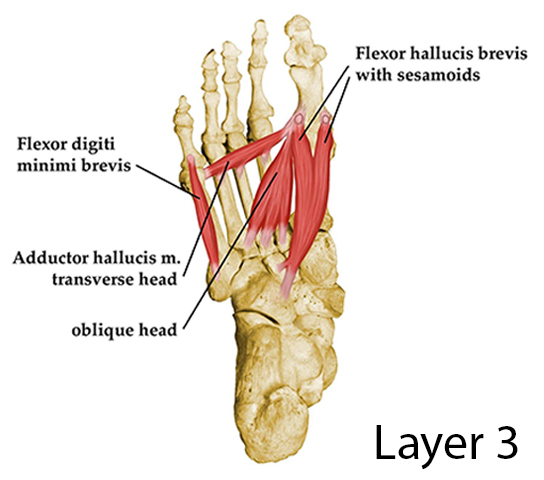 The iliacus is a flat, triangular muscle. It forms the lateral portion of the iliopsoas, contributing flexion of the thigh. Origin: The iliacus originate from upper 2/3 of iliac fossa of the ilium, internal lip of iliac crest, lateral aspect of the sacrum, ventral sacroiliac ligament, and the lower portion of the iliolumbar ligament. The pectineus is a flat, quadrangular muscle, situated at the anterior part of the upper and medial aspect of the thigh. The pectineus muscle is the adductor of the hip. The pectineus muscle makes adduct and internally rotate the thigh but its primitive function is hip flexion. Origin: The pectineus muscle originates from the pectineal line of the pubis. Nerve Supply: Femoral nerve normally, although it may sometimes take additional innervation from the obturator nerve. The rectus femoris muscle is one of the four quadriceps muscles. The rectus femoris is situated in the middle of the front of the thigh. Its flex the hip joint and to extend the leg at the knee joint. Origin: The rectus femoris originates from anterior inferior iliac spine; reflected from a groove above the rim of the acetabulum. Insertion: Base of the patella to form the quadriceps femoris tendon. Action: Its functions are to flex the thigh at the hip joint and Extends the knee joint. Nerve Supply: Muscular branches of the femoral nerve. The adductor brevis muscle situated deep to the pectineus and adductor longus muscles. The chief function of the adductor brevis muscle is to pull the thigh medially and they contribute to flexion of the thigh. 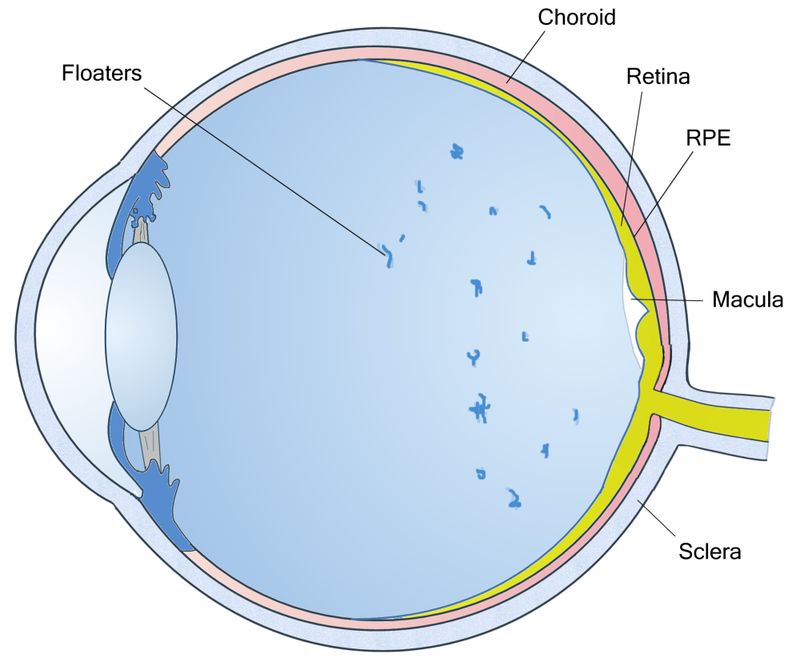 Origin: Arises from the outer surfaces of the superior and inferior rami of the pubis. Insertion: Pectineal line and superior part of the medial lip of linea aspera. Action: Adducts and flexes the thigh at hip joint, and helps to laterally rotate the thigh. The adductor longus muscle located in the thigh.Its main function is to adduct the thigh and flexes the thigh, and also helps to laterally rotate the hip joint. Origin: Anterior surface of the body of pubis, just lateral to the pubic symphysis. Insertion: Middle third of linea aspera, between the adductor Magnus and brevis insertions and lateral to the origin of the vastus medialis muscles. Action: Adducts and flexes the thigh, and assists to laterally rotate the hip. Nerve Supply: Anterior division of the obturator nerve. The adductor magnus muscle is a triangular, located on the medial side of the thigh. 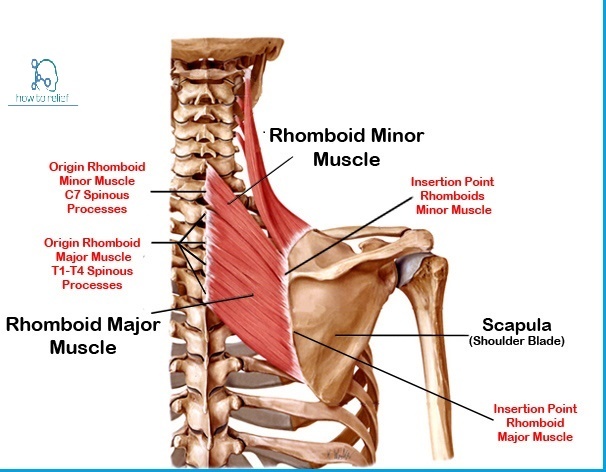 Origin: Originated from Inferior pubic ramus, ischial ramus, and inferolateral area of the ischial tuberosity. Action: Powerful thigh adductor; anterior fibers also help flex the thigh. Nerve Supply: The Posterior portion of the obturator nerve innervates maximum of the adductor magnus; hamstring portion innervated by tibial nerve. The sartorius muscle is the longest muscle in the body. It is a long, thin muscle that runs down the anterior compartment of the thigh. 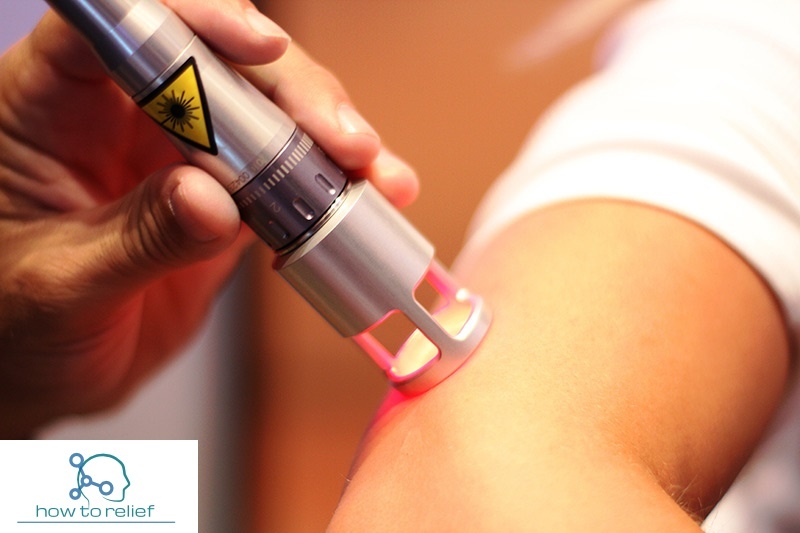 Origin: The sartorius originates from the anterior superior iliac spine. Insertion: The sartorius muscle inserts into the superior aspect of the tibial shaft near the tibial tuberosity. Action: The sartorius flexes and laterally rotates the hip and flexes the knee joint.